"Makes fluffy pancakes with a consistency and taste comparable to those made with wheat flour. Serve with your choice of condiments." 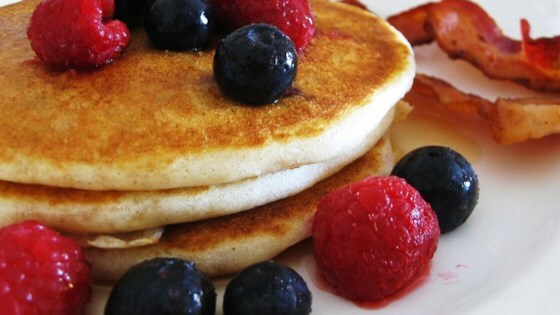 See how to make light and fluffy pancakes without the gluten. I used strawberry applesauce in place of the oil, and soy milk in place of the water/buttermilk powder. This was amazing!